The supervisor said, “I just completed my annual online fatigue management training for this year.” He made it sound like quite a feat. The online fatigue training course takes about 20 minutes and has a quiz to document that the person has learned some facts and retained them until the end of the course. The completion of the course is recorded in the learning management system and all is well. This is what passes for training in many companies and the box is checked for another calendar year. The Stoic philosopher Epictetus has something to say about this approach, if we are willing to listen. It might be necessary to take multiple online courses for annual training and some of us might learn a few things. If we do not apply what we learned in practical ways in regular “training” sessions, the learning will not only be mere, but short lived. Someone may be thinking, “It’s just fatigue training. Everyone knows the remedy for fatigue is sleep.” That is the mere learning, the practice is to get eight hours of sleep, and the training is to do that every night. Yet don’t we do the opposite of what we learned? Some do, and there might be more to the remedy for fatigue than just telling people to sleep. Did you read the recent NTSB News Release that two commuter rail accidents in 2016 and 2017 were caused by fatigue because both of the engineers had undiagnosed obstructive sleep apnea? I wonder if those employees had fatigue management training that included the importance of shiftworkers discussing any sleep problems with a doctor annually. Someone else may be thinking, “You are behind the times, Charles. We have to make the best use of technology. We have limited time for the completion of these courses.” What was true in the time of Epictetus (50 AD – 135 AD) is true today. We have not evolved much. 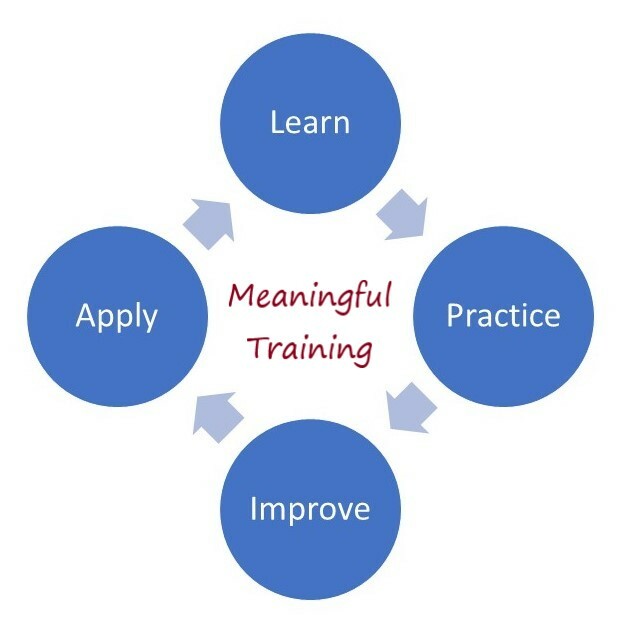 Unless we continually apply what we learned and refresh the training, we will forget what we learned. I am still pondering whether or not we will hold opinions opposite of what we should. You can discuss that part of the quote with a coworker. I recommend face-to-face conversation instead of texting. I think back to my “training” as a construction laborer at a pump station on my first job. Someone would impatiently tell me how to do a task, watch me do it once, correct me when I was wrong until I was doing it right, and then tell me to keep doing it that way until the task was complete. Since most of the tasks were menial and repetitive, I got plenty of practice. And my training lasted as long as I was regularly doing those tasks. But I could not do them correctly today. A portion of learning useful lessons from training and from life is up to the individual. Epictetus taught and practiced that one cannot control external events, and should apply reason and self-discipline when faced with something one does not like. Give it a try and practice regularly whatever you learn. That is real learning and meaningful training.